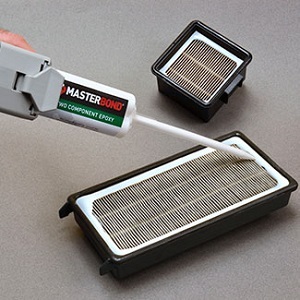 Master Bond EP30NS is a nanosilica filled epoxy system featuring high abrasion resistance. 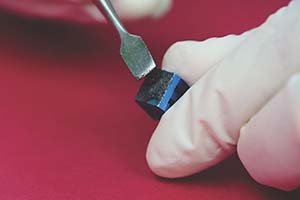 Independent tests demonstrate that this epoxy’s abrasion resistance value is significantly higher than that of a typical epoxy composition. EP30NS is also optically clear and meets NASA low outgassing specifications. Click now to learn more about EP30NS. 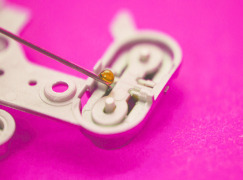 Browse this catalog on our line of epoxy, silicone and light curing compounds that meet the specific demands of the optical industry. 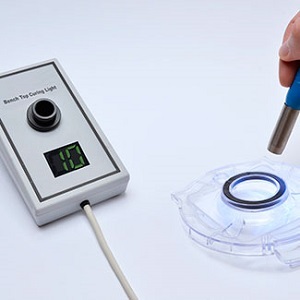 This 24 page catalog features performance properties on Master Bond’s extensive line of epoxy, silicone and light curing compounds that meet the specific demands of the optical, fiber-optic, electro-optic, display, photonic and biophotonic industries. 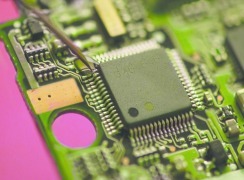 The development of epoxy based underfill encapsulants marked a turning point for flip chip technology, and the semiconductor industry. 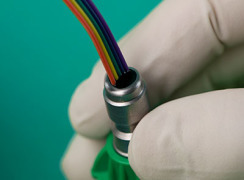 Underfill encapsulants are carefully formulated to ensure flowability, an acceptable CTE, and other desirable properties. 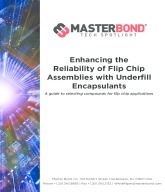 In this white paper, we explore what properties are required for effective underfills to ensure reliability and quality in flip chip applications. Forming reliable bonds between different materials can be challenging because there can be large variations in CTE's (coefficients of thermal expansion). 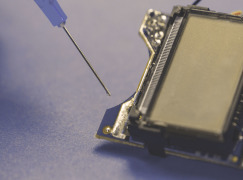 Adhesive compounds play a critical role in the fabrication of assemblies for electronic, optical and mechanical systems. 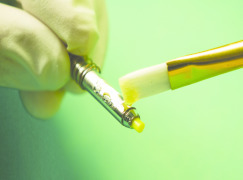 Learn more about typical CTE's for various chemistries such as epoxies and silicones, how fillers can be used to modify CTE, why CTE is dependent on temperature and much more. 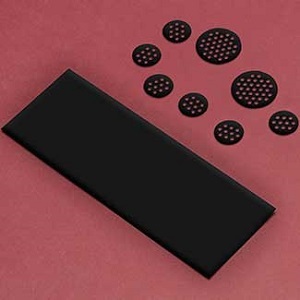 Specific case studies illustrate the thermal compounds used. 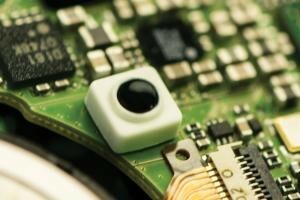 Teaser: Is there a solution to the thermal expansion mismatch of components for an electronic assembly? 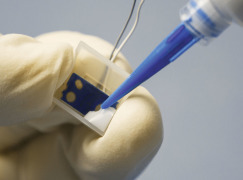 You bet, and one solution is to use a specialized adhesive that can withstand thermal expansion effects. 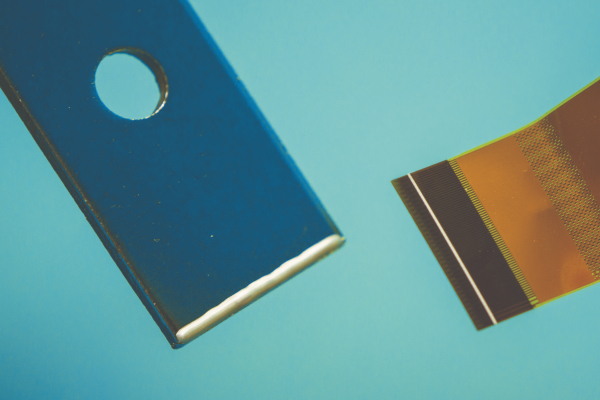 Gain a better understanding about glass transition temperature (Tg) and why it is one of many factors to consider for bonding, sealing, coating and encapsulation applications. In this paper, we explore how temperature impacts the performance of polymers, why glass transition temperature is significant, and how it is measured. Tg can be an extremely useful yardstick for determining the reliability of epoxies as it pertains to temperature. 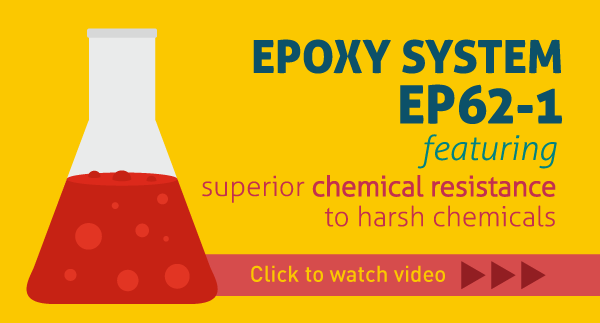 To understand one part epoxy systems, you need to know how a two part system works. In this white paper, we explore how a one part system is constructed, how it can and should be used, and how it can be modified to achieve a variety of performance properties. Also learn how technological advances have resulted in innovative, unique systems. 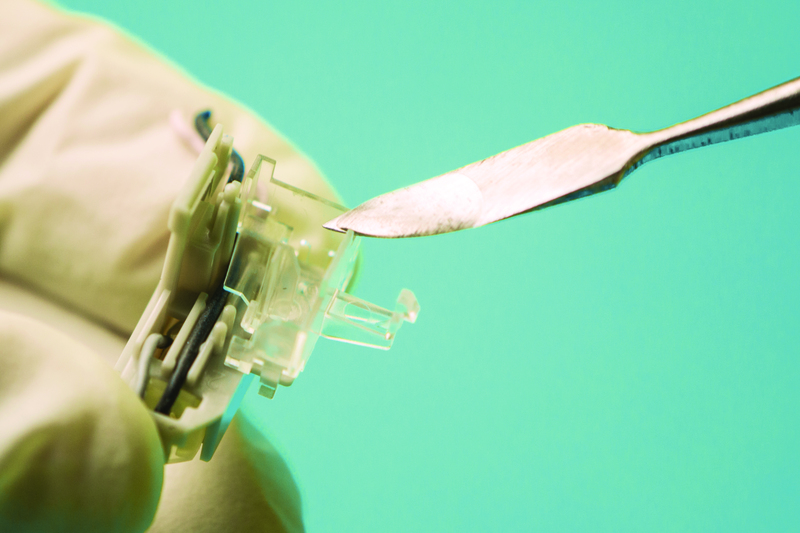 With adhesive products, high performance and rigidity are often thought to go hand in hand. 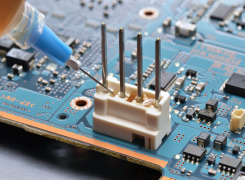 It is true that the very best strength, thermal, chemical and electrical properties tend to be found in rigid compounds, especially epoxies. 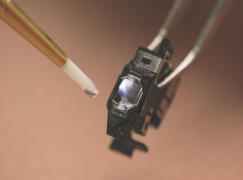 Yet there is a growing class of adhesives, sealants and coatings that add ductility to the long list of desirable epoxy properties. 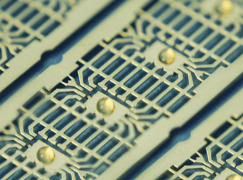 Master Bond’s whitepaper examines the use of these toughened epoxies. 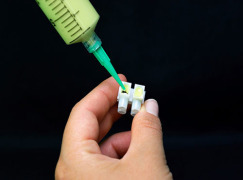 LED405Med: How Do You Use an LED Curing Adhesive? 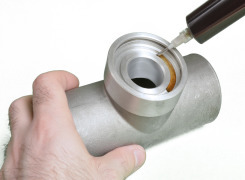 How Do You Use a Gun Applicator to Apply Two Part Epoxy? FLM36: How Do You Use an Epoxy Film Adhesive? 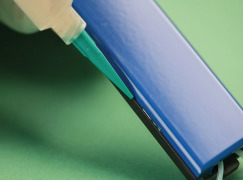 FL901AO: How Do You Use an Epoxy Adhesive Film? 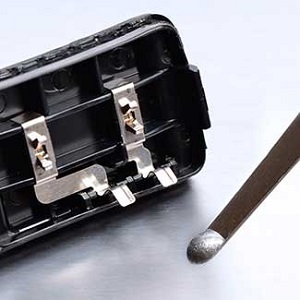 Flame retardant non-halogenated system is thermally conductive and a reliable electrical insulator. 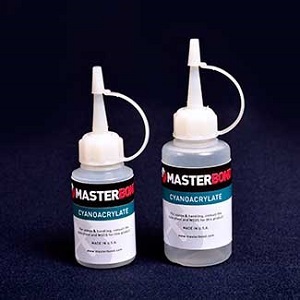 Master Bond EP70CN is a two part, thermally stable epoxy adhesive formulated using a natural, renewable and sustainable ingredient. Master Bond EP30LTE-2 has been developed for joining dissimilar substrates exposed to thermally or mechanically induced stresses. 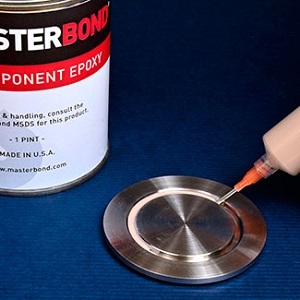 Master Bond EP3HTSDA-2 is a fast curing, one part silverfilled system offering exceptionally high thermal andelectrical conductivity, along with remarkably low thermalresistance. 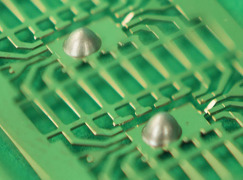 Formulated for medical electronic applications, Master Bond EP62-1LPSPMed is a biocompatible two part epoxy. 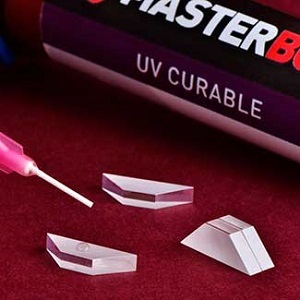 Master Bond UV22DC80-10F is a single component, nanosilica filled compound featuring a UV and heat curing mechanism. 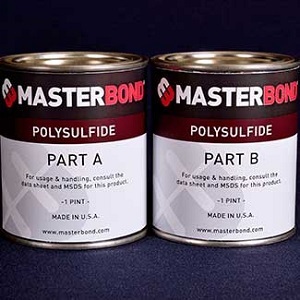 Master Bond Supreme 34CA is a high strength structural epoxy adhesive featuring superior resistance to aggressive chemicals such as acids, bases, solvents and oils. 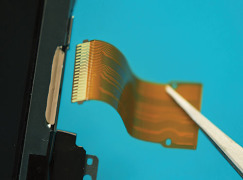 One component epoxy system for bonding, sealing, potting and encapsulation applications featuring curing temperatures of 175-180°F or higher.